Your vaping needs aren't the same every time that you reach for your box mod. Sometimes, you want to steal a quick puff with a huge cloud on the fly. Other times, you want to slowly sit and savor the vapor. With the Kangertech Spider AKD 200W Starter Kit, you can finally do both with ease. 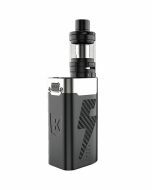 This kit gives you the Kangertech Spider AKD 200W Box Mod plus the Kangertech Spider AKD Tank, everything you need to get started vaping with more flexibility. 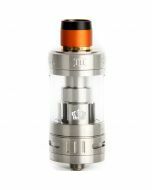 The Kangertech Spider AKD Tank features an innovative removable sleeve that slides in and out. 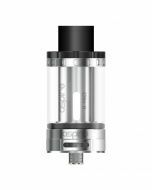 With the sleeve in place, the tank can hold up to 2 milliliters of your favorite e-juice. For longer sessions or vaping when you're on the go, remove the sleeve to expand the tank capacity to up 4 milliliters. 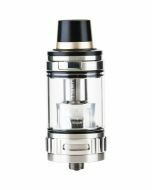 Made out of borosilicate glass, the tank keeps your vapor clean and pure, and the 100% Japanese cotton wick shuttles juice efficiently to preserve flavor and allow for reliable performance. With the Kangertech Spider AKD 200W Box Mod, you'll benefit from a truly flexible design that allows you to vape the way you prefer each and every time. You can set the box mod to a maximum power output of 200 watts for cloud chasing or move to temperature mode to experience the full flavor of your e-liquid. 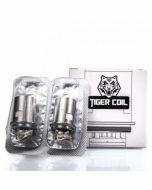 Soft, normal and hard flavor modes give you more control over the taste of your vapor, and the box mod is compatible with nickel, titanium and stainless steel coils as well as your own custom-built designs. Although the Kangertech Spider AKD 200W Box Mod gives you tons of flexibility in determining how you want to vape, the box mod is not complicated or difficult to use. The bright digital display clearly shows the key data that you need to select settings and adjust the performance. When you want to make a change, simply turn the roller switch to toggle through the options. You can have the box mod ready to use in just seconds. The Kangertech Spider AKD 200W Box Mod boasts a massively powerful 42000 mAh on-board battery. With this much power at your fingertips, you can enjoy hours of vaping before having to worry about recharging. And with this box mod's fast charging abilities, you won't have to wait long for it to be ready to enjoy again. Crafted with durability in mind, the Kangertech Spider AKD 200W Box Mod is made of aluminum zinc alloy. This material is resistant to wear and tear but lightweight to ensure easy handling. An ergonomic shape allows you to comfortably grip the box mod throughout your vaping experience. Bring more flexibility to your vaping sessions and be ready to draw the way you prefer each and every time. Order the Kangertech Spider AKD 200W Starter Kit now and discover the benefits of the Kangertech Spider AKD 200W Box Mod and Kangertech Spider AKD Tank.